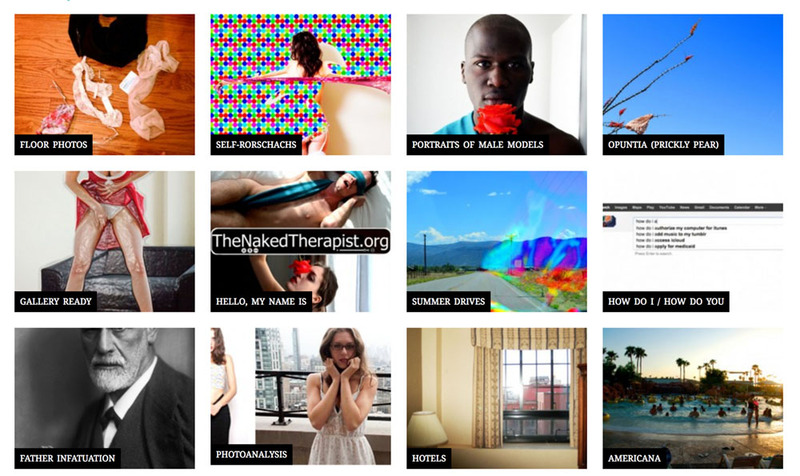 I collaborated closely with Sarah White in the forming of Naked Therapy in 2010. It is ongoing at SarahWhiteLife.com and SarahWhiteTherapy.com. In 2012 Sarah was accepted into the Chelsea West Artists Open Studios. When she submitted her feature image the director kicked her out, because he said that this image was an ad, not art. This event peaked my interest in the the prejudice in the art world against women who use the provocative (and potentially commercial) body. It was covered in DNAinfo, NY Maggazine, Huffington Post, Artinfo, etc. As the following cover stories on ArtInfo.com and Culturebot.net explain, there’s a “fascinating little art world tizzy” occurring around this censorship. In fact, the Culturebot critic compares my art and the controversy it’s aroused to Marina Abramovic, Damien Hirst, Marcel Duchamp, Laurel Nakadate, and Mami Kotak.